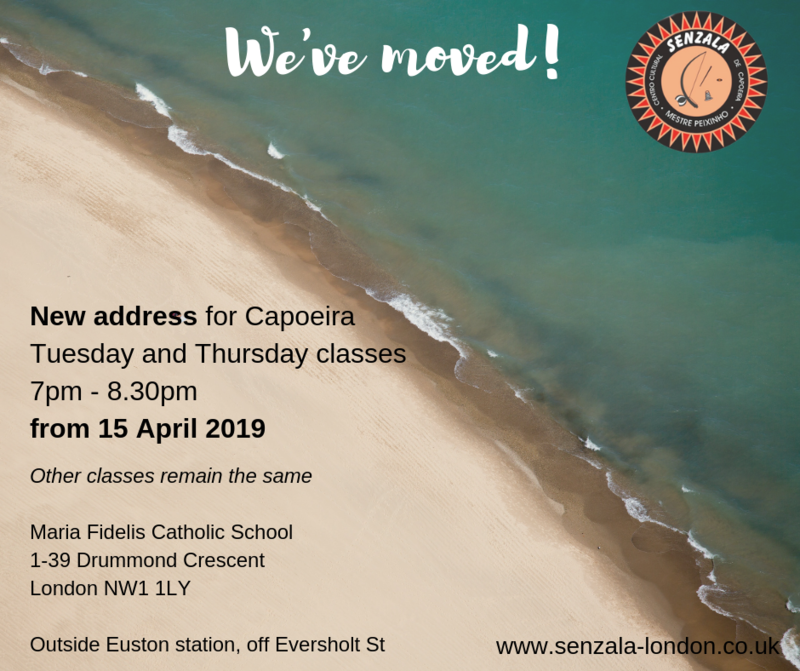 From 15 April 2019, the venue is changing for Tuesday and Thursday adult capoeira classes. 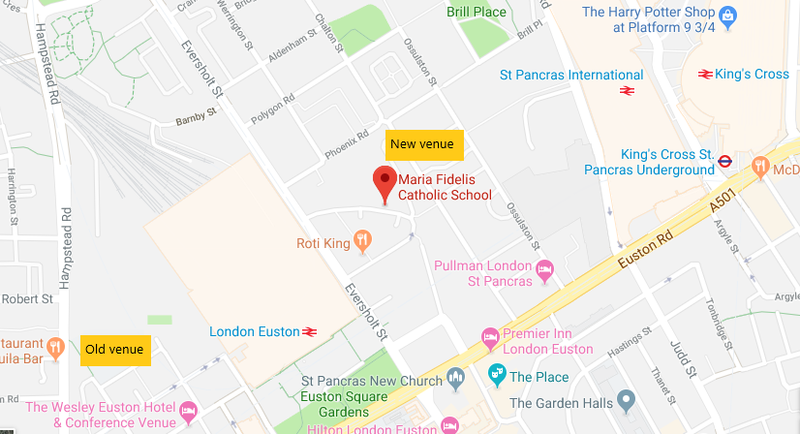 The old Maria Fidelis school is being knocked down, so we are re-locating to their other premises, just a 2-minute walk from Euston station. Come join in and learn this unique Afro-Brazilian martial art, complete with kicks, acrobatics, music and of course, some great energy and community spirit. Our classes are open to all levels. For more details about our movement classes around central London, check out our Movement Classes page.